• ALDERSON K., HURRELL A. (eds) (2000), Hedley Bull on International Society, New York, Saint Martin’s Press. • ALEXANDROFF A. S., COOPER A. F. (eds) (2010) Rising States, Rising Institutions: Can the World Be Governed?, Washington D.C., Brookings Institution Press. • BARNES G. (2007) State Formation in Japan: Emergence of a Fourth Century Ruling Elite, London, Routldege. • BELANGER L. (2013) « Les grandes puissances et l’offre institutionnelle globale : où en sont les États émergents ? », congrès de l’AFSP, section thématique 49 « Puissances Emergentes, Institutions Globales et Gestion de Crise », Paris, 9-11 juillet. • BULL H. (1984) « The Emergence of a Universal International Society », in Hedley Bull et Adam Watson (eds), The Expansion of International Society, Oxford, Clarendon Press, p. 117-126. • CAI H. (2011) « La Chine, un éléphant tranquille sur la scène des échanges internationaux », in Marc Abélès (dir. 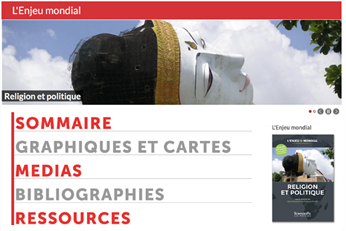 ), Des Anthropologues à l’OMC. Scènes de la gouvernance mondiale, Paris, CNRS Éditions, pp. 201-230. • ELLIOTT ARMIJO L., BURGES S. W. (2010) « Brazil, the Entrepreneurial and Democratic BRIC », Polity, vol. 42, n°1, pp. 14-37. • FROST E. L. (2008) Asia’s New Regionalism, Boulder, Lynne Rienner. • GLASER C. (2010), A Rational theory of International Politics: The Logic of Competition and Cooperation, Princeton University Press. • HURRELL A. (2006) « Hegemony, Liberalism and Global Order: What Space for Would-be Great Powers? », International Affairs, vol. 82, n°1, pp. 1-19. • HURRELL A., NARLIKAR A. (2006) « A New Politics of Confrontation? Brazil and India in Multilateral Trade Negotiations », Global Society, vol.20, n°4, pp. 415-433. • IKENBERRY J. G. (2004) « Liberalism and empire: logics of order in the American unipolar age », Review of International Studies, vol. 30, n°4, pp. 609-630. • JAFFRELOT Christophe (dir.) (2008) L’Enjeu mondial. Les pays émergents, Paris, Presses de Sciences Po. • KAHLER M. (2013) « Rising powers and global governance: Negotiating change in a resilient status quo », International Affairs, Special issue, vol. 89, n°3, pp. 711-729. • KEOHANE R. O. (2006 ), After Hegemony: Cooperation and Discord in the World Political Economy, Princeton, Princeton University Press. • MEARSHEIMER J. J. (2001) The Tragedy of Great Power Politics, New York, Norton. • NARLIKAR A. (2007) « All that glitters is not gold: India’s rise to power », Third World Quarterly, vol. 28, n°5, pp. 983-996. • NARLIKAR A. (2010) « New Powers in the Club: The Challenges of Global Trade Governance », International Affairs, vol. 86, n°3, pp. 717-728. • NYE J. S. (1990) « Soft Power », Foreign Policy, n°80, p. 153-171. • NYE J. S. (2011) The Future of Power, New York, Public Affairs. • PAPE R. A. (2005) « Soft Balancing Against the United States », International Security, vol. 30, n°1, pp. 7-45. • PERKOVICH G. (2003) « Is India a major power? », Washington Quarterly, vol. 27, n°1, pp. 129-144. • RICHMOND O., TELLIDIS I. (2013) « The BRICS and international peacebuilding and statebuilding », NOREF Report, Norwegian Peacebuilding Resource Centre, January. • ROBERTS C. (2010) « Polity forum: Challengers or Stakeholders? BRICs and the liberal world order », Polity, vol. 42, n°1, pp. 1-13. • SOARES DE LIMA M. R., HIRST M. (2006) « Brazil as an intermediate state and regional power: action, choice and responsibilities », International Affairs, vol. 82, n°1, pp. 21-40.